Yi Yao started playing the piano and accordion at the age of five, and has been an active performer since childhood. At the age of twelve she played her first solo recital at the Beijing Concert Hall, the main concert hall in Beijing. At the age of 15, Yi was awarded a place at the prestigious China Conservatory in Beijing where she studied composition and piano. In 2003, Yi graduated with a First Class Honours Bachelor of Music degree, and in 2004 with a Postgraduate Diploma from the Royal Academy of Music in London, where she studied for five years under Owen Murray, majoring on the accordion and piano. During her studies, Yi won acclaim from some of the best musicians in the world including Frederich Lips, Mie Miki and Oleg Sharov. 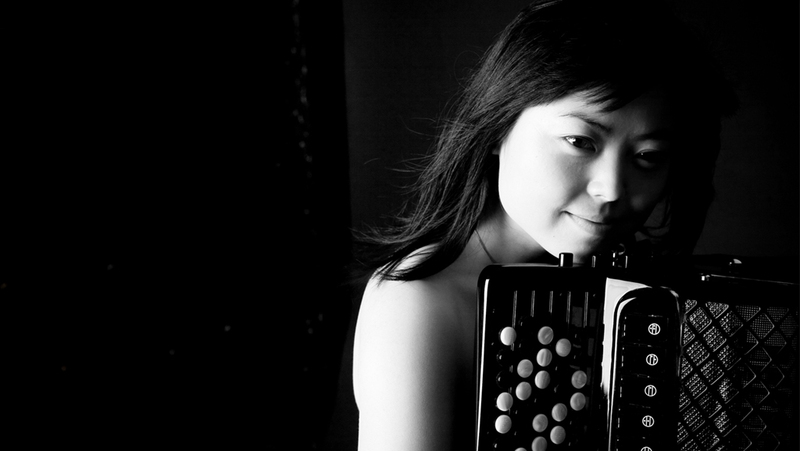 Yi has won numerous prizes at International competitions on both the piano and accordion, including First Prize at the Scottish Accordion Festival and First Prize at the Anglo-Czech accordion competition, which resulted in a concert performance for her in Prague. In 2000, she premiered the Gordon Jacob Accordion Concerto in China. In 2001, she was invited to perform at the London Accordion Festival and she played with the prestigious Hallé Orchestra at the Bridgewater Hall, Manchester in the UK. In December 2002, she won 4th Prize, and the prize for the Best Performance of the Test Piece at the Arrasate Hiria International Accordion Competition, one of the largest and most prestigious international accordion competitions. Her recording of Passacaglia and Perpetuum Mobile with the renowned composer/conductor José Serebrier on the Naxos label was nominated twice for a Grammy award. Yi has toured extensively throughout her career, performing in Sweden, Malaysia, Italy, Thailand and Egypt as well as within China and the UK, which is now her home. She has made several recordings, and has performed live on both television and radio. She has been featured on Chinese Central Television Corporation (CCTV), and has been a regular guest on the SW1 radio programme in London. More recently, Yi has appeared as concerto soloist in Cambridge, and has completed a concert tour of China with her 6-piece chamber group, Panoply. She has performed with the London Sinfonetta, with the Royal College of Music at the Cadogan Hall, in the Forbidden City Concert Hall in Beijing, at the 2012 Birmingham Arts Festival, and has worked with Fred Olsen cruise lines performing both on the accordion and piano. In addition to her concert work, she has recently recorded with the BBC Symphony Orchestra, is a visiting professor of music at Guang Zhao Qing University where she has given lectures and master classes on the accordion, and she is currently an examiner for the Concerto Performance Examination for Masters degree students at the Royal Academy of music. In addition to her ongoing concert and teaching work, 2014 brings the launch of “And it Came to Pass” a major musical and artistic collaboration between Yi and Chris Gollon the established British Artist. “And it Came to Pass” will be premiered in London on June 10th and Yi and her ensemble, Simon Watterton and Shu-Wei Tseng will perform the work each evening at the 2014 Henley Festival from 9th – 13th July. The collaboration is featured in the current online edition of Gramaphone Magazine.